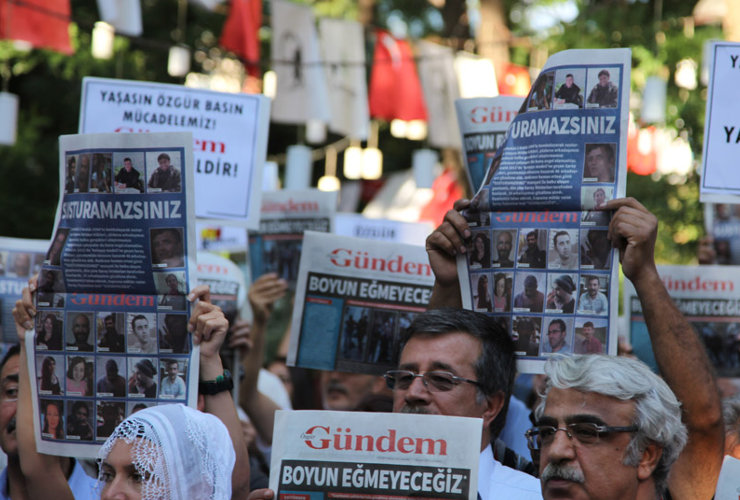 This article is part of a special IPI series on press freedom and the realities of practising journalism in today’s Turkey, written by those most directly affected: Turkey’s journalists. It was exactly 15 years ago that people in Turkey began to use the term “sahipsiz gazete” or “proprietorless newspaper”. At the time, the words were greeted with a slight smile. There was a widespread belief that a newspaper without an owner would not be a good one. However, following developments in Turkey since 2013 and the recent sale of the Doğan Media Group to businessmen close to Erdoğan, public interest has now risen in the idea of independent, “ownerless” newspapers. It is as if BirGün’s introduction of the term had been waiting for this moment. In the last few weeks the hot topic of discussion in Turkey has been the sale of Doğan Media Group and the firm Yaysat, Turkey’s largest media distributor, both owned by Aydın Doğan, to the (pro-Erdoğan) conglomerate Demirören, which owns the dailies Vatan and Milliyet. Following this sale, 30 percent of Turkey’s media will be in the hands of Demirören and a total of almost 90 percent of the media in the country will be owned by groups close to the government. The means by which pro-Erdoğan conglomerates own large media organizations is referred to as the “pool” system. According to information gleaned from voice recordings, a number of businessmen chosen by the government contribute a particular amount of money into a common account and those funds are then used to buy television or newspaper companies by one of the businessmen. In this manner, the whole load is not shouldered by one individual but shared by many. Doğan Media was, in this way, drawn into the pool. This move is seen to have been made in order to make sure that no stone is left unturned and almost no media voice can challenge the Presidential Palace in the run-up to the 2019 elections. Tensions between the Doğan Group and the AKP in recent years had influenced the former sufficiently enough to turn it into a captive of the ruling party. This obviously proved insufficient for the Palace regime, which decided to seek total control. In the lead-up to the 2019 elections, any glimmer of hope in the political sphere, any kind of alliance that might be formed on the right or any development that might be a cause for excitement on the left can easily be disrupted by the media. The complete hegemony already established in the judiciary, the security forces and the bureaucratic administration system has now become absolute with the acquisition of the mainstream media. It was therefore natural that in such a case all eyes would turn to BirGün, Evrensel and Cumhuriyet, Turkey’s independent newspapers. Let us not fantasize that these independent newspapers can balance out the impact of Doğan Media. But, looking at the near future, one thing remains undeniable: Independent papers will most definitely be the sole voice of more than 50 percent of the population. Of course, there are economic and legal difficulties in producing an independent newspaper in Turkey. So, let us begin by outlining those difficulties. Technology costs and monopolies in the sectors of newsprint supply and media distribution are serious problems for independent media. The rental expense for satellites, the cost of importing newsprint paper from abroad and the high rates of commission charged by distributors are too great for an independent media organization. Adding to these problems are the court cases, the embargo on advertising, and the fines issued by judges, who are no longer impartial. From the point of view of printed newspapers, the cost of printing paper and of distribution is very high. The paper is imported from abroad. The distribution is in the hands of two companies, Yaysat (owned by Doğan) and Turkuaz. Turkuaz is a company owned by the Sabah Group, which is close to Erdoğan. Following the sale of Doğan Media Group, the monopoly in the distribution sector will be total. Besides the already high commission rates, there is now the added, worrying question of whether these companies will suddenly decide to stop distributing independent newspapers. Yet another problem is encountered when an independent newspaper tries to attract advertising. Private sector companies see independent newspapers as opposed to the government and shy away from placing adverts with them. The government, too, arbitrarily restricts our share of public sector company advertising – which should be equally distributed – through the Directorate General of Press Advertisement. Therefore, it has fallen to online advertising to save us. We earn revenue from the AdSense advertisements that we call Google adverts because these sources look at the click rate and the amount of original content. Finally, there is the issue of fines issued against newspapers. For example, our newspaper, BirGün, pays an average of 15,000 to 20,000 Turkish lira (3,000 to 4,000 euros) in fines every month. The number of (pending) court cases filed against BirGün is close to 100. As many as 10 of these cases are demanding custodial sentences but most such requests are usually converted into financial penalties. The reason for the threat of such custodial sentences is usually the allegation that we have insulted either the president or someone high-up in the government. Defamation cases are opened immediately following publication of any story on corruption. In the near future, the path forward for independent newspapers is that they reach a wider audience, that they have a strong online presence, or at least provide some internet content, and that they expand the number and variety of news stories. In order to do so, they need a much stronger economic basis. And to achieve this, independent newspapers are turning to their readers. At a time in which interest in physical newspapers is declining and readers are now getting their news online, independent newspapers need the support of citizens. If these organizations, which are currently not making a profit, begin to access funds from abroad or to engage in different commercial practices, their independence may be compromised. For this reason, the way out for independent media is to encourage subscriptions. A media organization that has 10,000 to 20,000 members behind it has the ability to stay on its feet and to invest in the necessary technology. BirGün has been engaged in this struggle for three years now. The independent newspaper Evrensel has been involved in setting up its own subscription service over the past year. Subscribers receive a PDF version of the newspaper and are also offered a range of gifts or rewards. Doğan Media also owns a news agency. And I can say that it used to produce quite a few objective news reports. With its sale to the pro-government conglomerate Demirören, the agency will now follow a completely pro-government line. This has led to negotiations on the subject of the distribution of independent newspapers and the possibilities of establishing a news agency and television station. 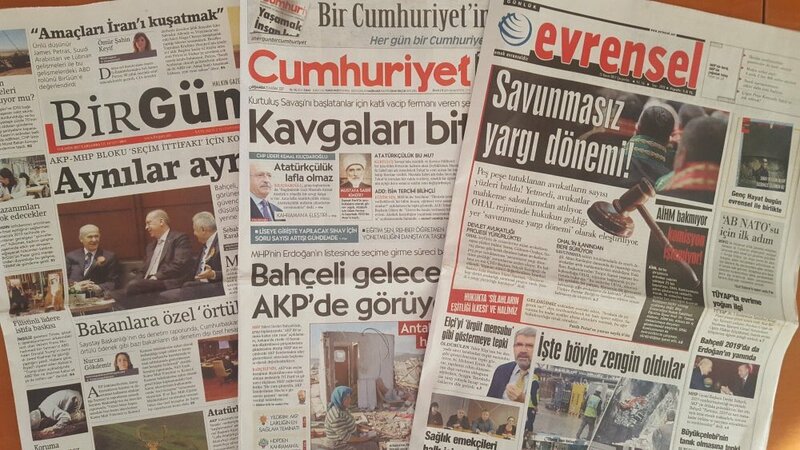 The relevant people at BirGün, Evrensel and Cumhuriyet are in contact with one another and the question of whether to set up a citizen-based news agency is firmly on the agenda of Turkey’s independent newspapers. When BirGün newspaper first came out it used the slogan “proprietorless newspaper”. These days, there is a lot of interest in that slogan. The reason is that in order to appease the government, the country’s employers and providers of advertising revenue have leapt fully-clothed into the pool. Now it falls to us to ensure that the few remaining newspapers at the poolside don’t get wet. 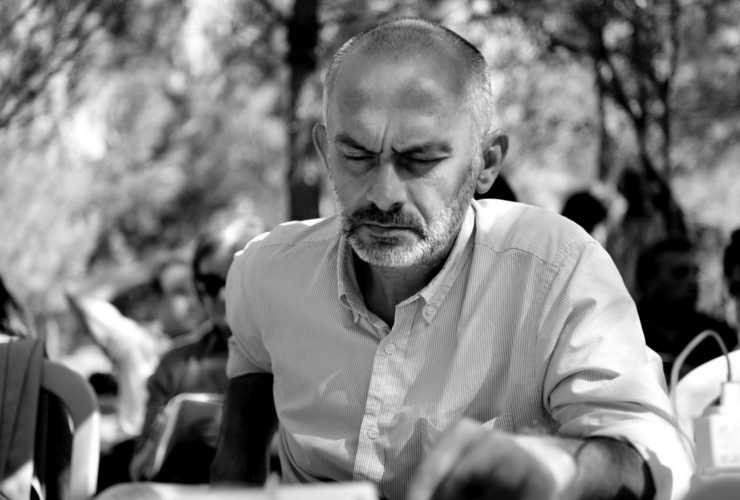 Barış İnce is the editor-in-chief of the independent Turkish newspaper BirGün. Opinions expressed in this article are those of the author and may not necessarily reflect the views of the International Press Institute (IPI).